Franciszek said: "We sell exclusively books published in English (we have some second hand German and French texts too, but this is just an addition), mostly fiction from all over the world, but also poetry and a bit of theory. Apart from being a shop, we also run a monthly podcast and an internet Review, where we publish texts on literature twice a week. You can see our efforts on arkbooks.dk, including all the fronts we are active on, together with a section on the history of the shop." Ark Books is a small and cosy place and function non-profit, where everyone is a volunteers there, of different backgrounds, united by the love of literature. 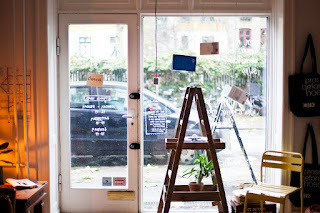 They always have their door open and coffee for anyone who wants to step in, relax on the sofa, browse through the shelves or just have a little chat. The people at Ark Books also run various literary events, depending on the spare time. You can read their full story HERE. Ark Books is the home of the best stories you've never heard. 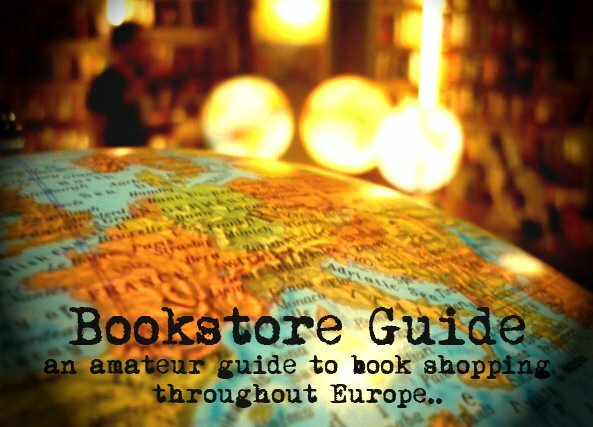 This entry has a special significance for us because in a way it represents the culmination of all our bookish trips, the visited bookstores, all the places and people that inspired us during the time we've spent traveling around Europe and working on this Guide. It's the thing we've always dreamed of and we've finally found the courage to make it happen. We are finally able to add our own brick-and-mortar bookstore (opened in February 2016) to Bookstore Guide. 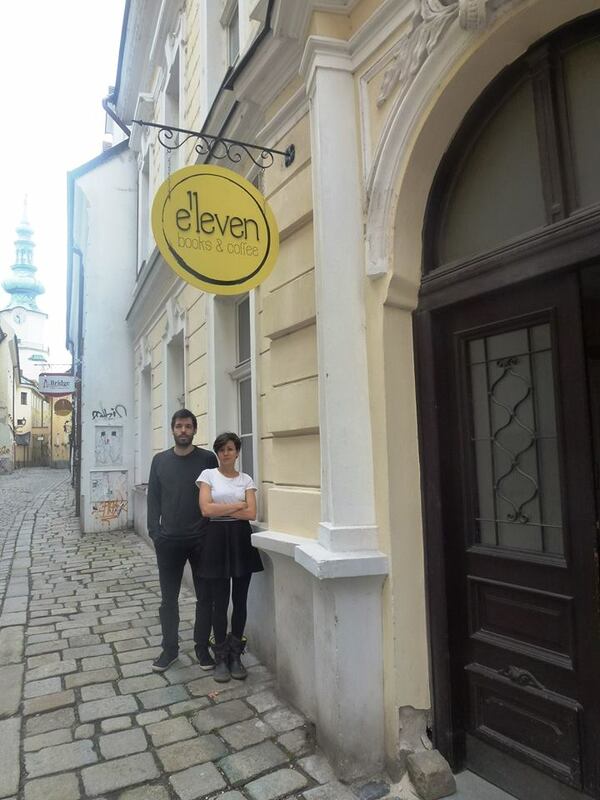 Eleven Books & Coffee was opened as a continuation of our online secondhand English bookstore (launched in 2011) another step on a journey started way before Bookstore Guide saw the light of day in 2007. The stock comprises of carefully selected English fiction and non-fiction, with the regular categories such as contemporary fiction, classics, historical novels and in the non-fiction realm business, philosophy, history, psychology, biographies, travel, etc.). Recently, we have also added a smaller German language book section, with more international languages to follow in the near future. 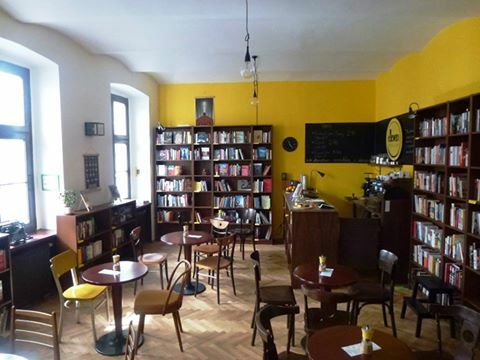 The cozy bookstore is also a cafe with freshly roasted coffee, a careful selection of teas, lemonades, cakes (mostly vegan) so you could sit down with an interesting book and lose yourself while nurturing all your senses. We are planning to prolong the opening hours in the upcoming months in order to add another temptation to the offer - wine. The bookstore itself is located in a narrow cobblestone street in the very center of Bratislava, yet sheltered from all the hubbub of Michalska street, which is adjacent. We hope to enjoy this experience as much as possible and try out all the ideas born during our bookstore-hunting trips. In 2006, Ottimomassimo was solely a traveling bookstore - you know, those cool little bookshops on wheels, traveling around the country reading and telling stories to kids. Throughout the years, they reached out to over 20.000 children, promoting reading and literacy. And they must have left a good impression because in December 2014, Ottimomassimo became a real brick-and-mortar store, a children's bookshop. 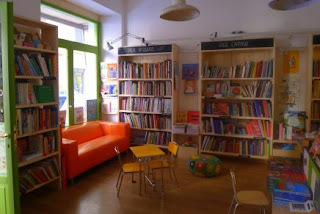 But not only a bookshop but also a place that promotes creativity through art and activities. The store stocks a vast range of illustrated quality books, and also maps and guidebooks on Rome for kids in English. They also have a DVD rental service for tourists. The activities are suitable for children 3 do 12, a perfect stop for families.